Engineering has been the central core of Pace’s offering, stemming back to our origins during the Kuwait building boom in the 1960s. Today, with a dedicated team of engineers operating around the globe, engineering remains right at the heart of the business. Recent projects of structural engineering excellence include the new Central Bank of Kuwait and the Sabah Al Ahmed Cultural Center. 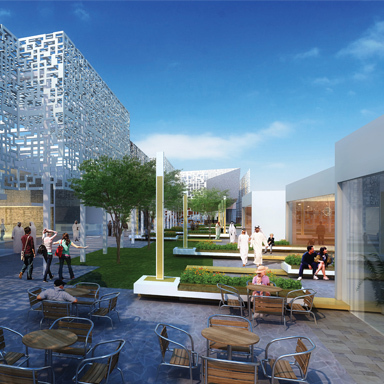 Pace’s over four decades of architectural excellence is comprised of a legacy projects that has defined Kuwait. The contrast between the dynamic Adan Hospital and the staggered towers of Kuwait’s Public Authority for Minor Affairs proves that Pace buildings are defined by sensitivity to the client’s brief, clarity in design, and the exceptional quality of the finished product. With a team of international architects, Pace’s approach has garnered respect across the world – with projects as far afield as Senegal, Spain, Lebanon and Libya. Pace’s experience in master planning brings together our in-depth knowledge of infrastructure with the clarity of our architectural vision. 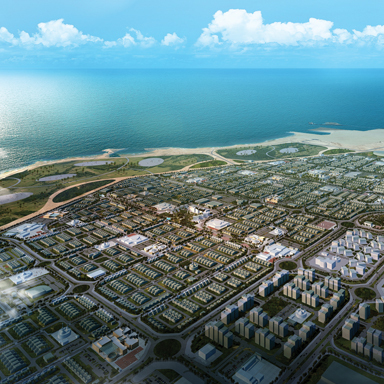 Our master planning capabilities are evident in projects such as Jaber Al Ahmad, a new city for some 70,000 people 25 kilometres west of Kuwait City, and the 680-hectare Ribat Al Bahr development in Mauritania, where 10% of the land is dedicated to public open space in order to enrich living standards. Our expertise in the field of transport engineering dates back to the early 1980s. In the three decades since, time we have been responsible for some of the region’s most significant transport infrastructure projects. We have also successfully carried out focused consultancy or specialist roles on international projects in Zimbabwe, Senegal and Azerbaijan. In Kuwait, our systematic approach to organisation and budget-control has enabled us to deliver large-scale government commissions such as the $130 million Sixth Ring Road, which added an important transport link for the country. Recent projects such as the 60km 3-lane dual carriageway of Subiya Road demonstrate our commitment to precision engineering and the latest technological advancements. At Pace, we recognise that every building exists within a context, and that the surrounding landscaping plays an important role. Whether we are working on a clean, contemporary development or a building with a touch of luxury, our specialist landscape architects work to ensure conceptual integration as well as aesthetic value. 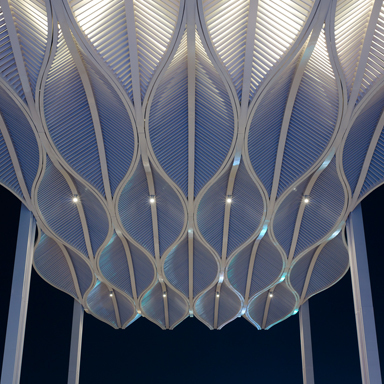 In Kuwait’s Arraya Cente, for example, we enhanced the building’s contemporary shape with a shaded courtyard, lush greenery, reflective paving patterns and sculptural forms. Meanwhile, the winding courtyards and water features of the Mahboula Complex effectively combine the traditional bazaar with a walled garden in this new restaurant development. Pace’s team of interior designers have worked across the region and internationally to ensure the highest level of finish to every built project. 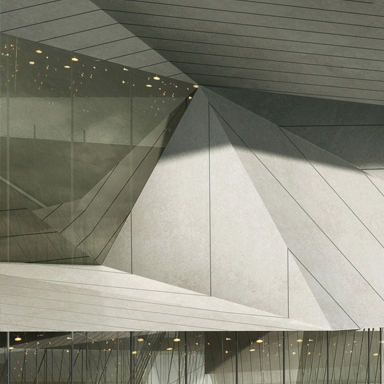 Examples include the Kuwait Finance House Chairman’s Office and interior refurbishment of the existing Central Bank of Kuwait Headquarters. 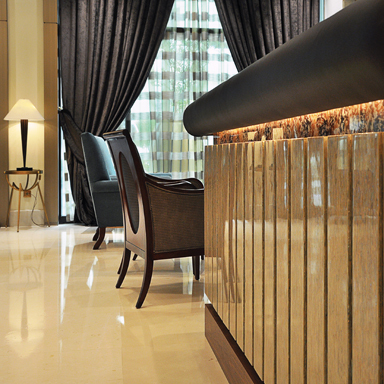 We understand the necessary exchange between flair and sensibility, and our focus goes right to the smallest details. At the Jahra and Farwaniya Courts Complex, for instance, we utilized a grand entrance with an intricately conceived design layout to facilitate visitor movement through public, private and secure areas. Pace delivers professional environmental graphics in order to enhance the relationships between people and their built environments. Such work is particularly important in public spaces, and we have proven our expertise in this area across a range of projects such as the Hawalli Courts Complex and the Galleria at the Avenues retail development.